This $4.1-million project was part of a Genome Canada/Genome Spain competition designed to build international research collaborations. 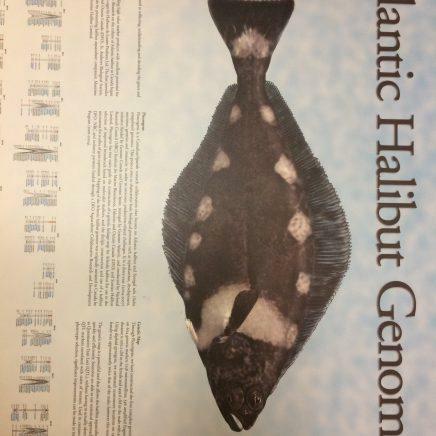 The project looked at both Atlantic halibut and Senegal sole, being genetically similar, to find the genes related to traits that are attractive to aquaculture producers such as rapid growth rates and disease resistance. Nova Scotian researchers, Drs. Susan Douglas and Michael Reith, joined Spain’s Dr. Joan Cerda in this unique, industry-focused initiative. Other principal investigators included scientific research groups from Fisheries and Oceans Canada’s St. Andrews Biological Station in New Brunswick, Scotian Halibut Ltd. in Nova Scotia, Oryzon Genomics of Barcelona, Consejeria de Agricultura y Pesca de Andalucia, Universidad de Granada, Consejo Superior de Investigaciones Cientificas, Universidad de Cordoba, and Universidad de Barcelona.